HomeCinemaMasalaIf Tinnu Anand had said yes to the role in Saat Hindustani, would there be an Amitabh Bachchan? 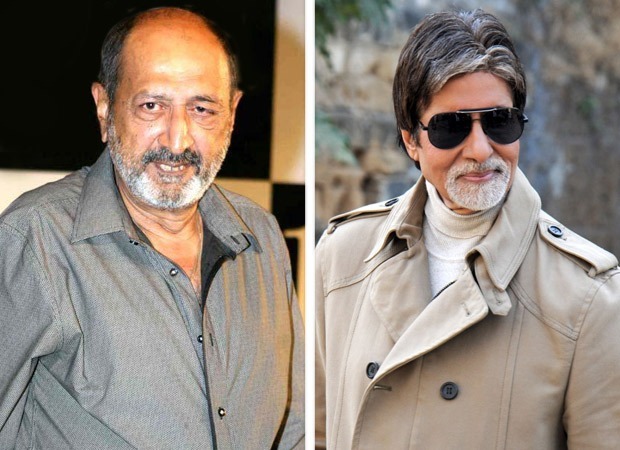 If Tinnu Anand had said yes to the role in Saat Hindustani, would there be an Amitabh Bachchan? The young Tinnu Anand who was the son of one of the best and highest paid writers in the sixties and seventies, Inder Raj Anand was sent to a catering college in Mumbai because his father didn’t want him to be affected by the atmosphere of films. But Tinnu was not interested in learning how to cook or cater, he was only interested in films and left home in the morning letting his father know that he was going to the catering college, but he landed up at one of the theatres near his college which ran what were called matinee shows which started early in the morning and mostly screened classics in Hindi and English. His father one morning decided to pay a surprise visit to Tinnu’s college and met the principal to know about his son’s progress and what the principal told him shocked him and his shock changed the life of Tinnu…. His father had a serious meeting about Tinnu’s future with his best friend and writer-filmmaker K.A. Abbas and it was decided that Tinnu would join Abbas as a junior assistant director and could also act in the short and feature films he made. It was while he was with Abbas that the well-known writer-director Abbas planned to make Saat Hindustani and cast Tinnu in one of the pivotal roles together with veteran actors like Utpal Dutt, Madhu from the south and Jalal Agha among others. It was during the casting that Abbas had forgotten how he and his friend Inder had requested Satyajit Ray, Michaelangelo Antonioni and some other internationally known filmmakers to take Tinnu on as one of their assistants. Destiny or luck or call it what you may, however had other plans. Tinnu received offers from three of the well-known makers to join them and he was in a fix. He didn’t know how to face Abbas who he like others who worked with him knew for his volatile temper. He finally found the courage to face Abbas and told him the truth and took Abbas by shock when he said he would not be able to work on Saat Hindustani. Abbas naturally blew his fuse and said he would not allow him to leave as the unit was ready to leave for a start-to-finish shooting in Goa. When Tinnu pleaded with him to let him go, Abbas asked him to get a substitute for him within 48 hours and Tinnu had an instant idea. He took out a photograph of a young man who his girlfriend from Delhi had given him and asked him to get him some work as an actor in Hindi films. He tried showing the photograph to Abbas who didn’t even care to look at it and asked Tinnu to send for the man on the condition that he would be paid his third class one way train fare to Bombay. That young man’s name was Amitabh Bachchan and he was working as a junior executive in Bird & Company in Calcutta and drawing a monthly salary of three and a half thousand rupees. But as soon as he received the telegram from Tinnu, he with his brother, Ajitabh landed in the office of Abbas the very next morning. The first introduction was followed by two days of interviews and Amitabh almost lost his once in a lifetime chance when Abbas asked him if he was the son of the poet Dr Harivanshrai Bachchan who was his friend. Abbas called Dr Bachchan in Delhi and asked him if he had given his permission to his son Amitabh to be an actor. Dr Bachchan said that if Abbas was giving him a break then his son didn’t need his father’s permission. Amitabh Bachchan was signed for Saat Hindustani for a royal sum of five thousand rupees for the entire film and he would have to live in a dormitory for 40 days with the rest of the unit which included Abbas. Amitabh did Saat Hindustani. Tinnu joined Satyajit Ray as his thirteenth assistant and came back to Bombay to direct films and also in act in them. He directed the superstar that Amitabh had gown into in films like Kaalia, Main Azaad Hoon and Major Saab. Amitabh and Tinnu are the best of friends even after fifty years and Amitabh as usual remains grateful to Tinnu for being responsible for getting him his first break in films as the “seventh Indian”. Incidentally, Tinnu is married to Shehnaz, the sister of Jalal Agha, who was the only actress in Saat Hindustani. Twin Peaks Season 1, Episode 3 Recap: Well, Is It About The Bunny? PETER PILOTTO for Target Spring 2014 Collaboration Announced! Jaden And Willow Smith: The New Donny And Marie?